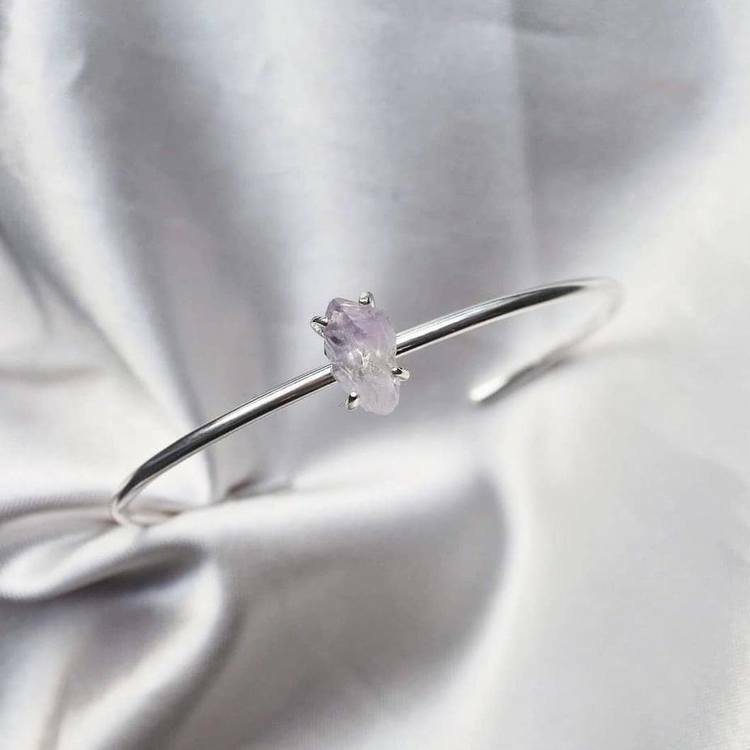 This bangle is made in 925 silver. 2mm thick with a raw amethyst from deep down in the Kiruna mines. This piece of jewelry is made by hand in Sweden with a amethyst crystal found in Kiruna.